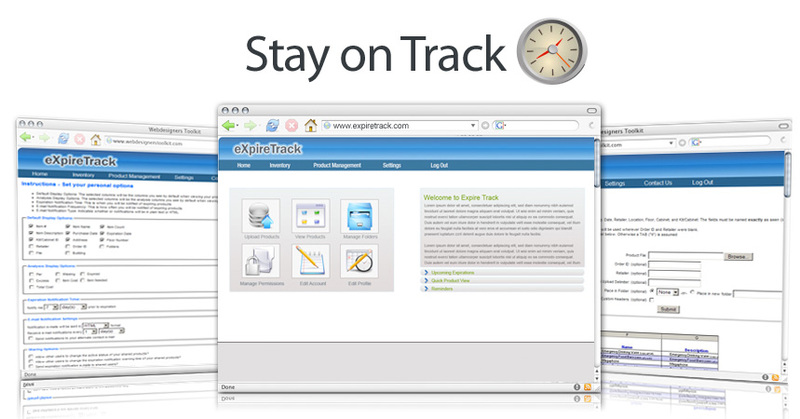 eXpireTrack is an easy-to-use online application designed to help your organization better track supplies and inventory that are critical to being prepared for any emergency or catastrophic event. The eXpireTrack application is a fully customizable solution with all the features that you will need to organize and manage your perishable supplies. Search using a word, part of a word, a number, or any combination of words and numbers. Customize your report by selecting only the fields you want to view. Automated email reminder settings. Set the number of days you want to be notified before the expiration date. Create and save folders to organize your products based on your preferences. Easily import and export data in various formats. Export reports for analysis or review out to Excel or Text file formats. Print your inventory report directly from eXpireTrack.